PLEASE NOTE: Registration for the Dance Clinic is full. 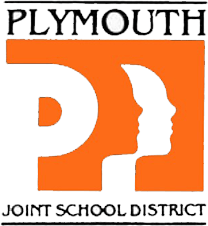 The Plymouth High School Dance Team is sponsoring a Winter Dance Clinic for girls and boys in kindergarten through eighth grade. Students should be dropped off at 3:30 p.m. Friday, Dec. 14 at the PHS cafeteria, 125 Highland Ave. (Use Door #11.) Those attending the Fantastic Friday trip to the Blue Harbor waterpark that day can arrange to be dropped off at PHS by the bus. Dance Clinic participants will learn a routine to perform during halftime of that night’s PHS varsity boys basketball game. Tipoff is at 7:15 p.m., with halftime around 8 p.m. Students can be picked up outside the gym after the performance, around 8:15 p.m.
Those registering by noon Dec. 7 pay a discounted fee of $30, which includes a T-shirt and pizza. After the early deadline, the fee is $40 and there is no guarantee of a T-shirt. No registrations will be accepted after 4 p.m. Wednesday, Dec. 12. Registration is being handled by Community Education & Recreation, but proceeds benefit the PHS Dance Team. • Register online (at no additional fee). • Print the Winter Dance Clinic registration form to mail or bring to Community Ed & Rec, 125 Highland Ave., Plymouth WI 53073. • For questions about registration, call (920) 892-5068, email commedrec@plymouth.k12.wi.us, or visit the Community Ed&Rec office on the north end of Plymouth High School, 125 Highland Ave.
• For questions about the camp, contact PHS Dance Team Coach Maren Romanoski at marenroma@gmail.com.